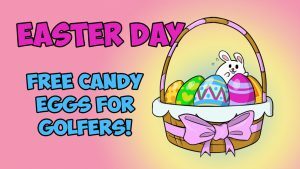 Planning to golf a lot this season? Get a discounted punch card to save some money. 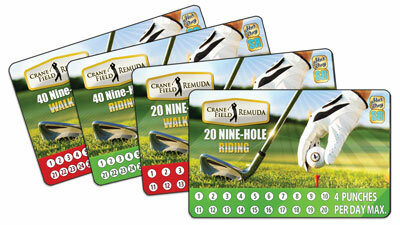 We offer punch cards for walking green fees and riding green fees. Combo cards come in denominations of 20 and 40. The more rounds you buy, the more discount you get! 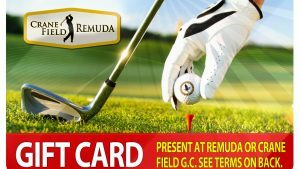 If you are playing in a league or just want to get out more this year, punch cards are a no-brainer. 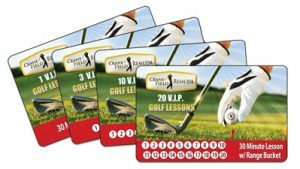 Combo cards are redeemable at both our locations. Shop online, by phone app, or at the clubhouse. Redeem at Crane Field or Remuda any day of the week. Each punch good for a nine-hole round.